One year ago today, Jim, Chewie, and I were just about 30 miles from where we are living now. We were in Pensacola, Florida, for the Pelican drop. A spur of the moment decision to head south took us there for the week of New Year’s. All three of us had a great time (Chewie loved the dog beach park there). Neither Jim nor I would have guessed at how unpredictable 2014 would be. It actually was a very serendipitous year interwoven with long-planned events such as the family gathering in March in Georgia and the 16-day Route 66 road trip and spontaneous events such as the last-minute job assignment in Maui, Hawaii, and the blind-side lay off of Jim from the company for which he had worked for over 10 years. In addition to these happenings was the quick but thoughtful decision to change our lifestyle and move into an RV, so we could travel to job sites after Jim decided to go 1099 with his consulting work. As I sit here listening to the boys (dog and man) sleeping, waiting for the time we will head to Mobile for the Moonpie drop, I feel very blessed. While there have been illnesses this year, our family is well overall. Jim and I got to see or talk to all of our immediate family during the Thanksgiving and Christmas holidays, something that is not always true. Though there is another arctic plunge of cold air, we are warm and cozy in our home for the month at Azalea Acres near Robertsdale, Alabama (we extended the week to a month). At least it will not get below freezing here. Jim and I really like where we are staying, and it is very affordable. A month is $350 flat – no extras to be paid on that, not even for electricity. For $11.67 per day we have a huge grassy site that is 43′ x 92′ with a picnic table. Included in our site fee is water, electric, WiFi, and daily trash pick up. Since we are in between two major cities, Mobile and Pensacola, our antenna is picking up 20 plus stations for viewing on TV. Being in a warmer area near the Gulf of Mexico during the middle of winter, we are not having to run much heat, and we can cook outside if we like, so our propane tanks stay full longer. Quite frankly, it is very affordable to live here. Another plus to this area is the daily farmers’ markets and access to local farms that sale grass-fed beef and fresh, locally-caught seafood. If I do want or need to head back to Tennessee, as I will need to do the third week of January, my little Ford Fusion Hybrid gets some awesome gas mileage, and I have family with whom I can stay. We are in a good place for now, but we know it is temporary. Beyond that, all we know is that 2015 is a great unknown. This time a year ago, Jim and I thought we knew pretty much how 2014 would go; it would go like most years since we’ve been married, but we were so wrong. 2014 was a surprising year with blessings and challenges that led us to a new beginning, and 2015 is a new year filled with unknowns that will bring blessings and challenges of its own. It is so exciting for us! Happy New Year! May it be a year of blessings for you. Happy New Year. 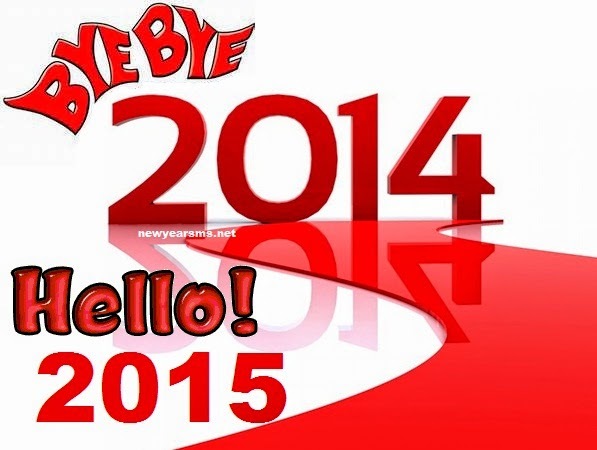 I sure hope 2015 is a wonderful year for you both!